Tinnitus is the perception of sound within the human ear in the absence of corresponding external sound. Tinnitus can be perceived in one or both ears or in the head. It is usually described as a ringing noise, but in some patients it takes the form of buzzing, humming, or whistling sound, or as clicking, roaring, “crickets” and tunes. Tinnitus is not a disease but a symptom resulting from a range of underlying causes. 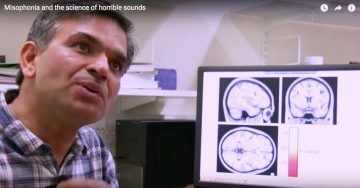 Still, tinnitus is happening in our brain and being a progressive condition is affecting brain functions more and more while making the life of the patient very difficult and a constant never ending struggle. For years, people who experienced chronic and/or severe tinnitus or hyperacusis have tried everything from acupuncture to drug therapy to try to stop the persistent noises they hear. But also for many years successful TRT treatments let you relieve these severe symptoms completely and reclaim your life. We are proud to provide our patients with a successful: Tinnitus, Hyperacusis And Misophonia Treatment conducted accordingly to the American Academy of Otolaryngology – Head and Neck Surgery Foundation, First Clinical Practice Guideline on Tinnitus to more than 300 patients annually. Our clinic is one of the very few clinics in North America conducting the full tinnitus treatment, which is designed to do more than just a significant improvement of tinnitus. Using advances in neuroscience and advanced brain conditioning protocols treatment used in our clinic is known to be effective in removing chronic tinnitus from awareness of the suffering person. 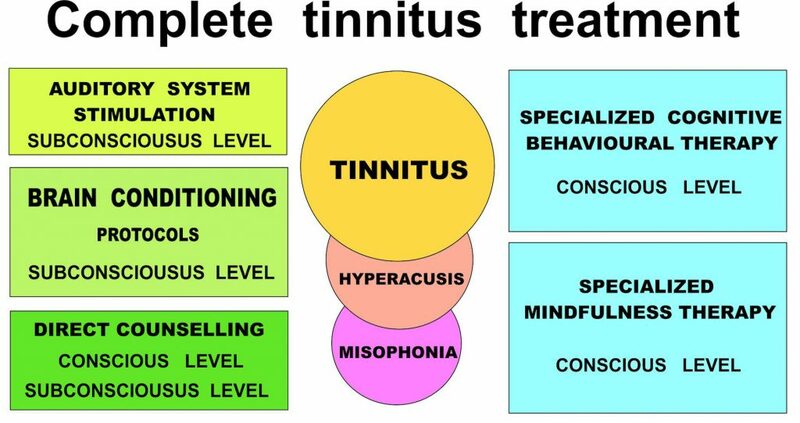 Working with a team of professionals, every person going through the process is treated as an individual with personal attention and care to the point where chronic tinnitus is gone from the system. We are working closely with the patient as long as it takes to make this happen. For some people it takes months for some other it can take longer, but the combination of TRT plus psychology interventions (if necessary) with the elements from neuroscience is known to be very effective. This treatment is used in Europe as well in a limited number of clinics in the US for many years. We are proud to be the only clinic in Ontario which is able to provide this treatment successfully for many years. 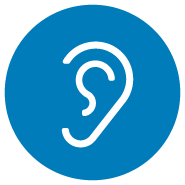 Our clinic is recognized as a provider of the tinnitus, hyperacusis and misophonia treatment by WSIB (Workers Compensation Board) and ODSP (Ontario Disability Support Program). ODSP and WSIB cover 100% of the treatment cost. Also, we are registered and licensed by HCAI (Health Claims for Auto Insurance) and Financial Services Commission of Ontario provider of tinnitus and hyperacusis treatments as well as hearing aids to the people who are victims or injured in car accidents in Ontario. 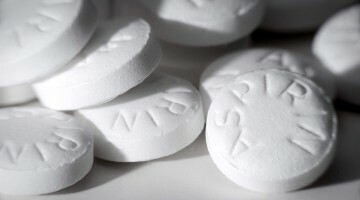 Cost of the treatments may be fully covered by the insurance companies. 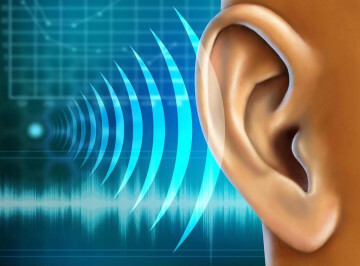 We are conducting and performing Tinnitus, Hyperacusis And Misophonia Treatments only with the family physician’s approval after no other medical issues are present or relevant. A referral from your family doctor is not necessary. 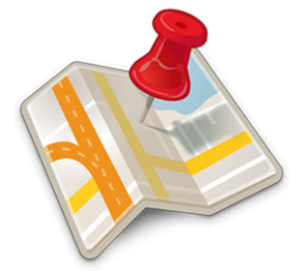 Treatment is based on a series of visits with the initial assessments, treatment and follow up sessions. *TOTAL COST OF INITIAL ASSESSMENT VISIT $ 195.00 — Assessment includes: specialized hearing assessment, tinnitus oriented questionnaires as well as testing of its pitch and intensity, counseling on tinnitus and choosing designed for the specific person individual treatment plan. *TREATMENT IS BASED ON, COGNITIVE BEHAVIORAL THERAPY AND OTHER THERAPIES PROVIDED IN IN INDIVIDUAL SESSIONS, BRAIN CONDITIONING PROTOCOLS, TINNITUS RETRAINING THERAPY and/or AMPLIFICATION which may include a combination of devices or noise generators and individual counselling. People treated will be using hearing aid / noise generator combination covered partially by OHIP (ADP) and some private insurance plans as well as work benefits, ODSP, WSIB, and Ontario Works. Veterans are providing full coverage of the cost of instruments and treatments.